Gilded Royal Doors carved to represent the Tree of Life (Old wooden church in Chotyniec, Poland). 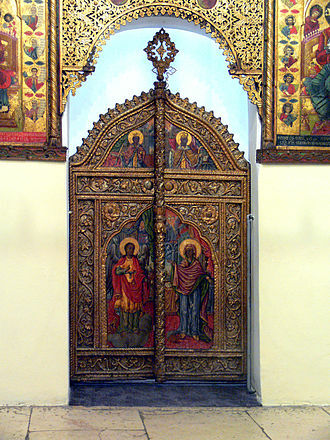 Holy Doors at the old church in Sarajevo depicting the Annunciation. At top are King David and Solomon.